Today Abilene is a little less wild. But no less worth visiting. This Kansas community is full of interesting stories, passionate locals, and destinations worth the trip. 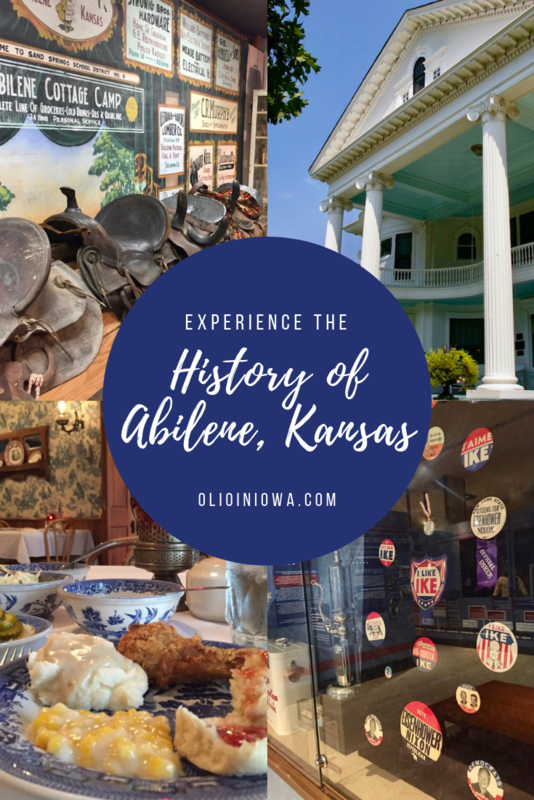 The next time you’re in the area, take some time to discover five unique ways to experience the history of Abilene, Kansas. You may not expect to find a James Beard Foundation Award-winning restaurant in Abilene, Kansas. 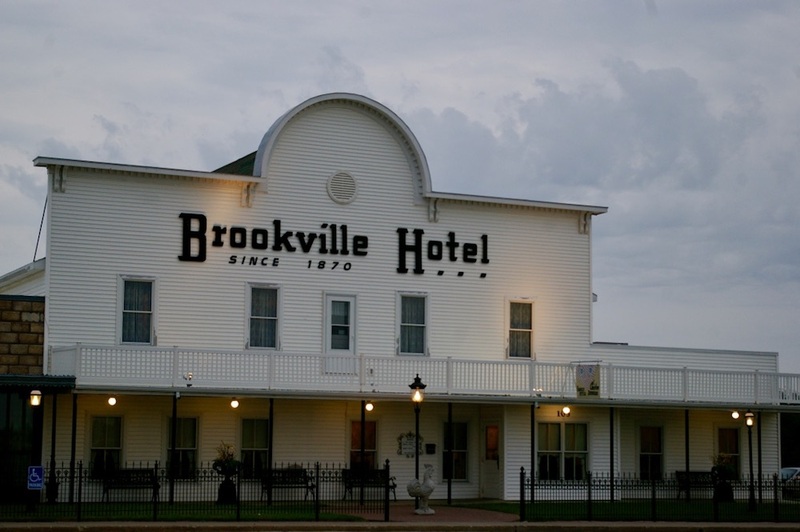 But let me be the first to tell you that if you find yourself anywhere in the state of Kansas, you need to set course for the Brookville Hotel. There, for $17.75 per person, you’ll find one of the best fried chicken dinners you may ever enjoy. 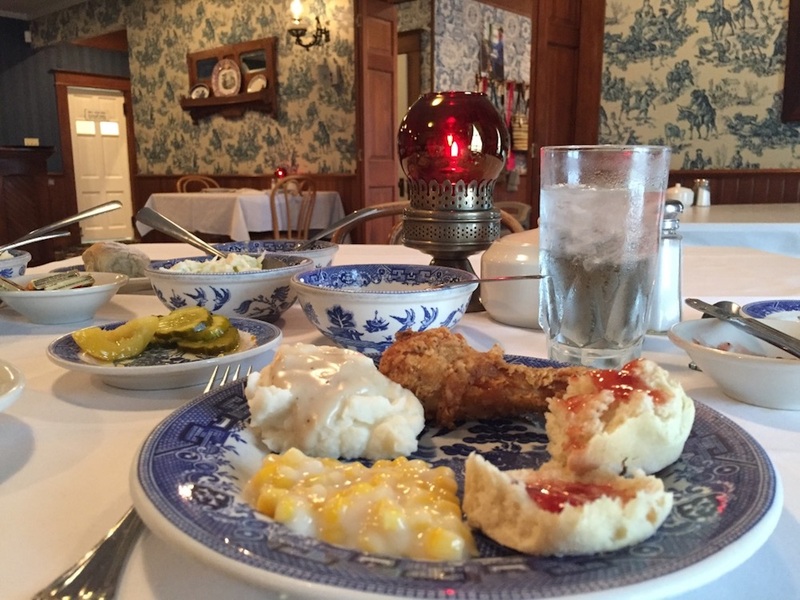 In fact, the food at Brookville Hotel is so good that multiple people told me that it’s not uncommon for diners to drive the more than two hours from Kansas City to enjoy a meal at this historic establishment. 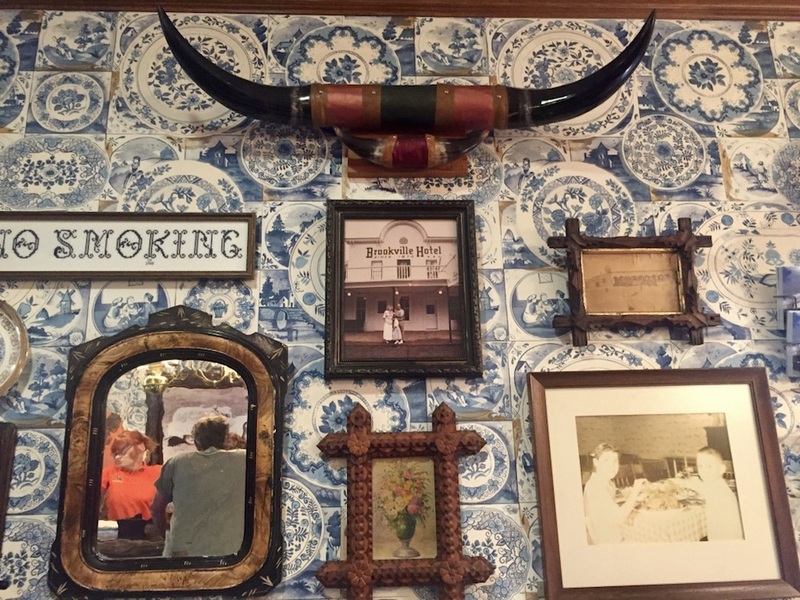 Established in the 1870s as the Cowtown Cafe, the hotel opened in Brookville, Kansas in response to the expected influx of Longhorn cattle traveling the Chisholm Trail. But when the Union Pacific Railroad located its outpost elsewhere, the population of the tiny town began to dwindle. That didn’t stop the hotel’s business. In 1894, Gus and Mae Magnuson bought the property and made the hotel synonymous with good food. But it wasn’t until 1915 that their daughter, Helen, began the hotel’s famed family style fried chicken dinners. The current owners, Mark and Connie Martin, acquired the Brookville Hotel in 1982, and became the fourth generation to serve incredible chicken dinners there. In 2000, the Martins moved the restaurant roughly 40 miles northeast to Abilene to make it more easily accessible from the state’s major interstates. It’s no exaggeration when I say that my meal at the Brookville Hotel was truly one of the best experiences of my entire Kansas road trip. If you ever want to seriously stick out, I recommend going to a family style restaurant to eat a fried chicken dinner solo. Sure, it was slightly embarrassing to be sitting alone in a formal dining room with the book I was reading. But I wasn’t about to miss out on legendary food. So there I was with about a dozen side dishes and half a fried chicken to myself. And the phenomenal staff at the Brookside Hotel could not have made me feel more at home. Not only was everyone incredibly friendly and welcoming. But my server made sure my meal also included a behind-the-scenes tour of the kitchen. There I learned that on an average Sunday the Brookside Hotel kitchen fries upwards of 200 chickens. The food itself was just as mouth-watering as I’d heard. Not only was the fried chicken perfectly crispy, but the Brookville Hotel also has its biscuit recipe down pat. 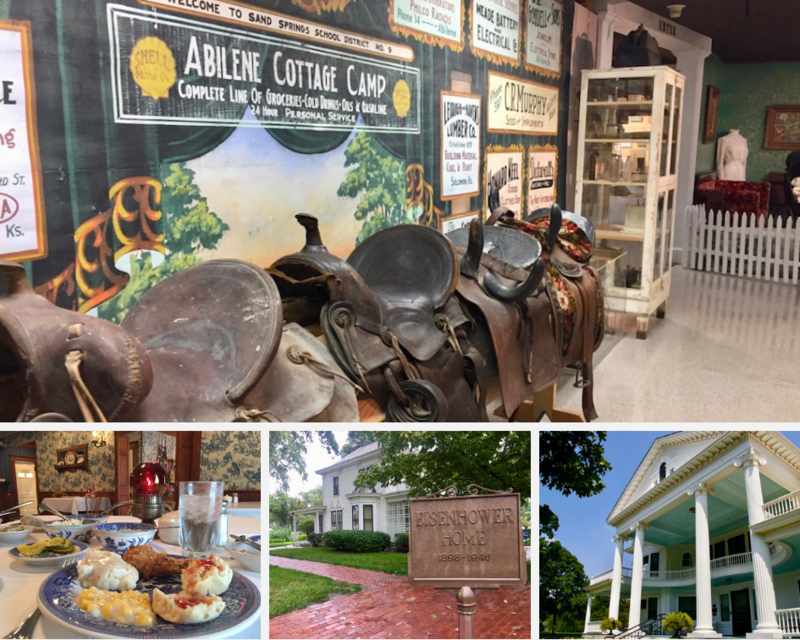 Regardless of how much time you have to spend in Abilene, the Brookville Hotel should be at the top of your list. If you’re not dining alone like I was, I strongly suggest calling ahead for a reservation. The Brookville Hotel’s dining rooms fill up quickly, especially if there are lots of larger groups. 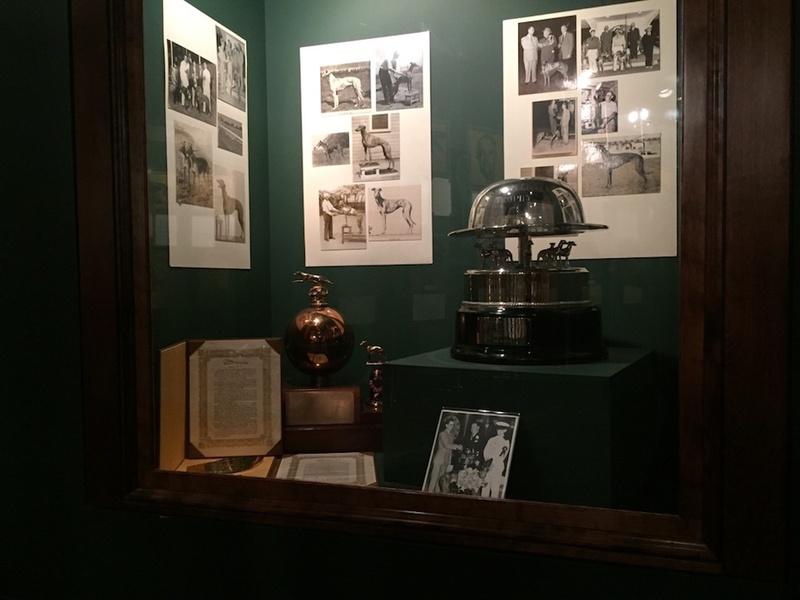 Located just behind the Eisenhower Presidential Library and Museum, the Dickinson County Heritage Center is a great place to get to know the history of Abilene. 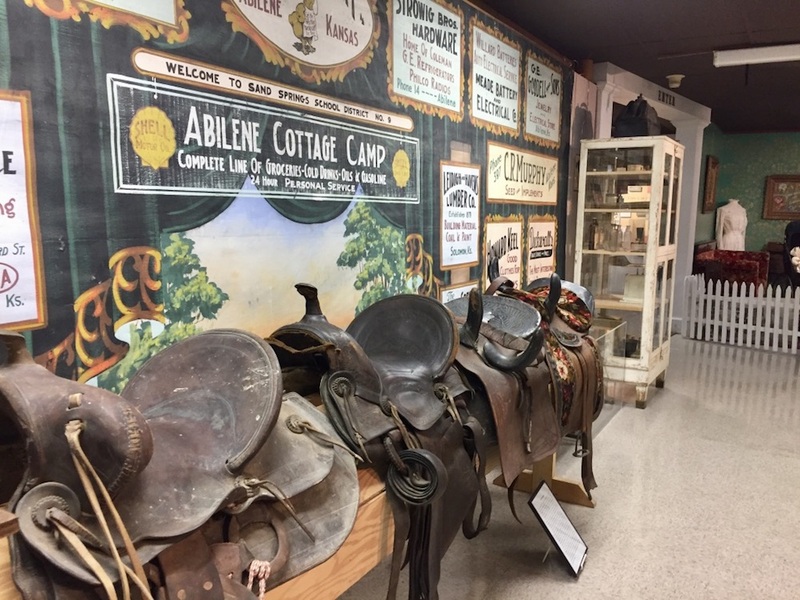 With both indoor and outdoor exhibits, this unique museum is a fantastic place to discover why Abilene was one of the wildest towns in the west in the 1870s. 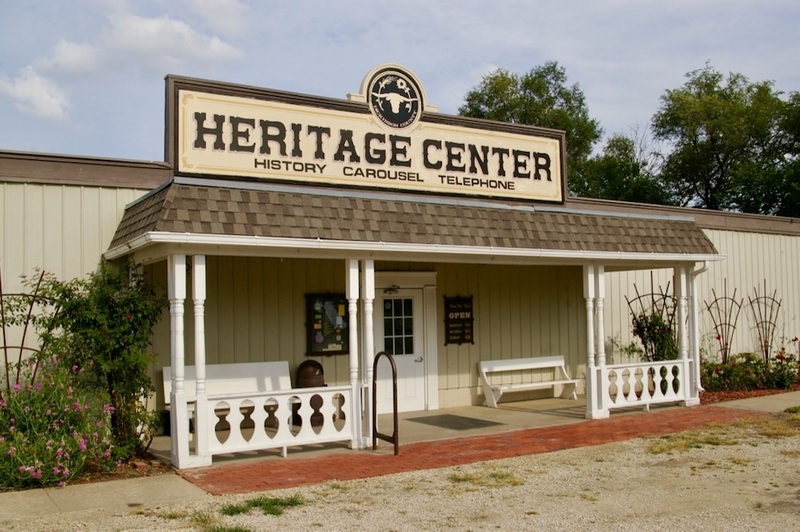 Start your visit inside the Dickinson County Heritage Center where you’ll learn about the early history of the area. 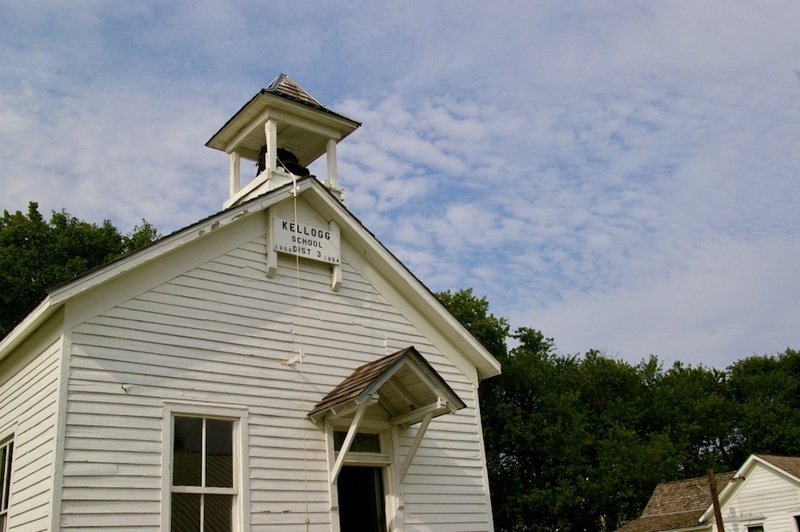 From early settlers to the area’s connection to cattle drives and the Chisholm Trail, it was fascinating to see how the cattle industry shaped so much of the community and its surrounding area. Moving through the city’s history, I was surprised to learn how many well known companies were founded in Abilene. In addition to the A.B. Seelye Medical Company, Abilene was also home to C.L. Brown. Brown established the independent Brown Telephone Company in 1899 to challenge the Bell Telephone company. From its roots in Abilene, the company grew to be the telecommunications company that we know today as Sprint. Prior to my visit, I had absolutely no idea about this unique piece of Abilene’s history. 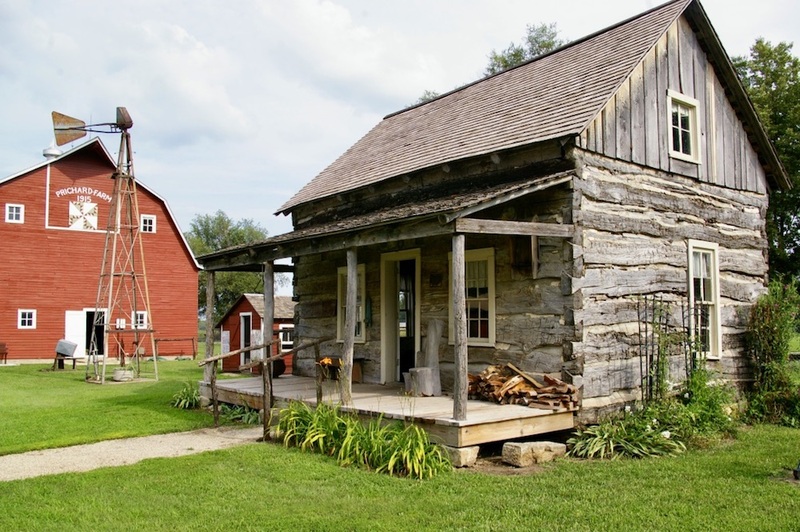 Then head outside to experience a number of historic buildings, including an early homestead, barn from the early 1900s, schoolhouse, and more. 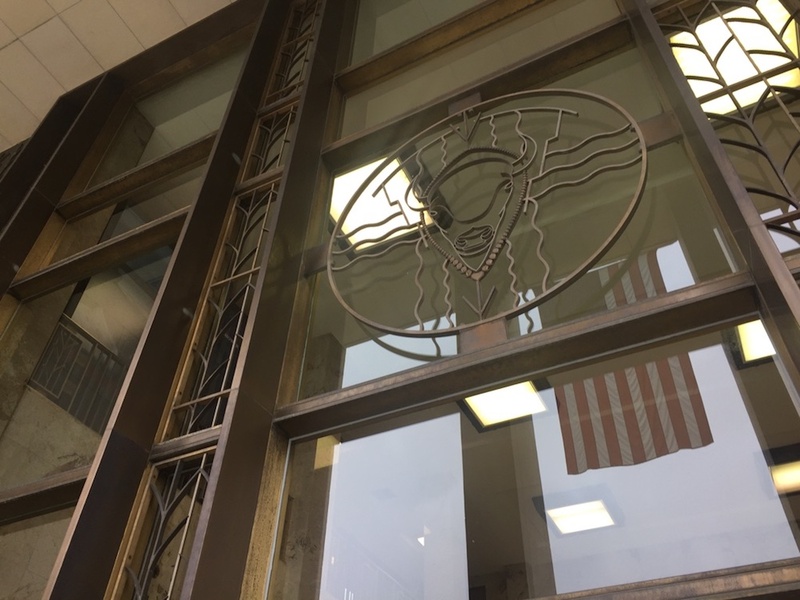 All of the center’s buildings are open to the public and ready to be explored. 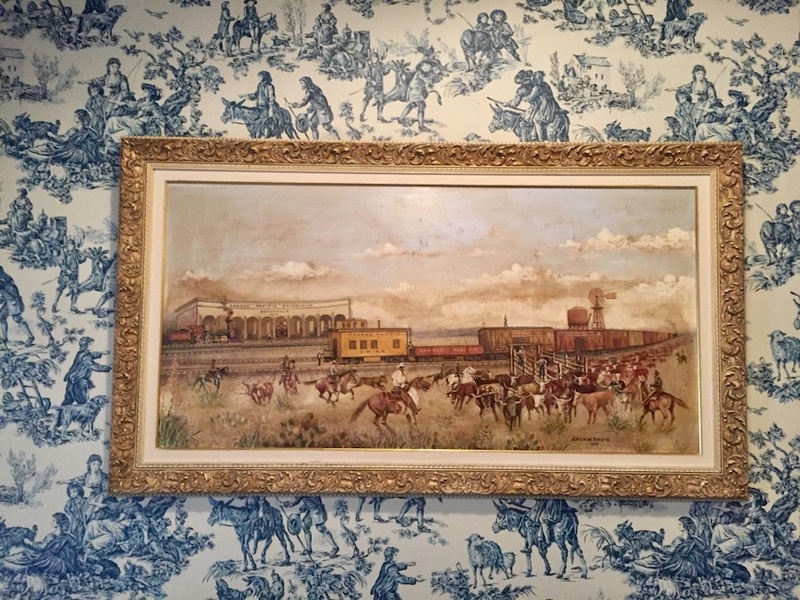 Peer into a historic homestead and imagine what it would have been like to live in Abilene during the cattle drives of the 1870s. Or examine the early automobiles that would have taken you around town. End your visit with a ride on a historic 1901 C.W. Parker Carousel. Again, this recognizable relic has notable ties to Abilene. In fact, Parker moved to Abilene with his family when he was only five years old. 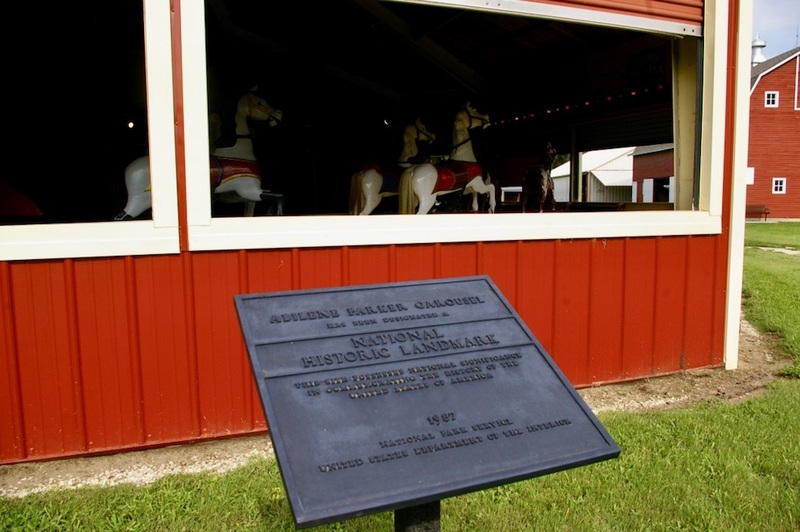 Parker began repairing old carousels and eventually started his own company constructing rides. 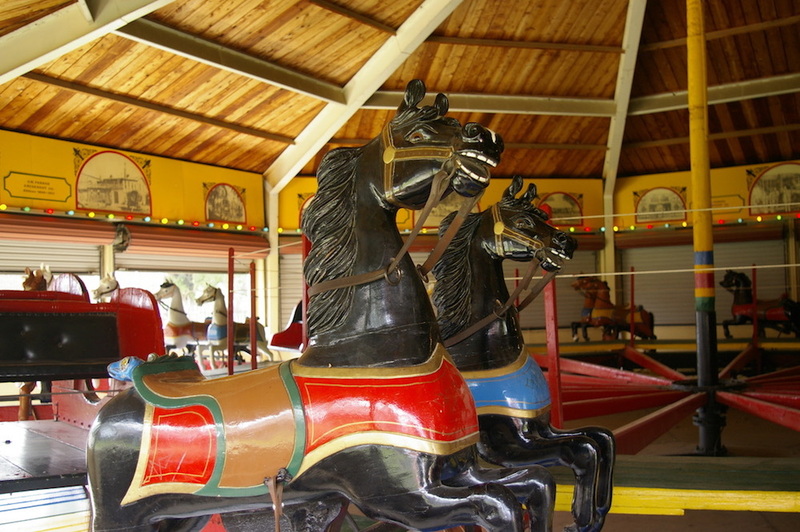 Although the Parker Amusement Company moved to Fort Leavenworth, Kansas in 1911, Parker built the carousel at the Dickinson County Heritage Center in Abilene in 1901. 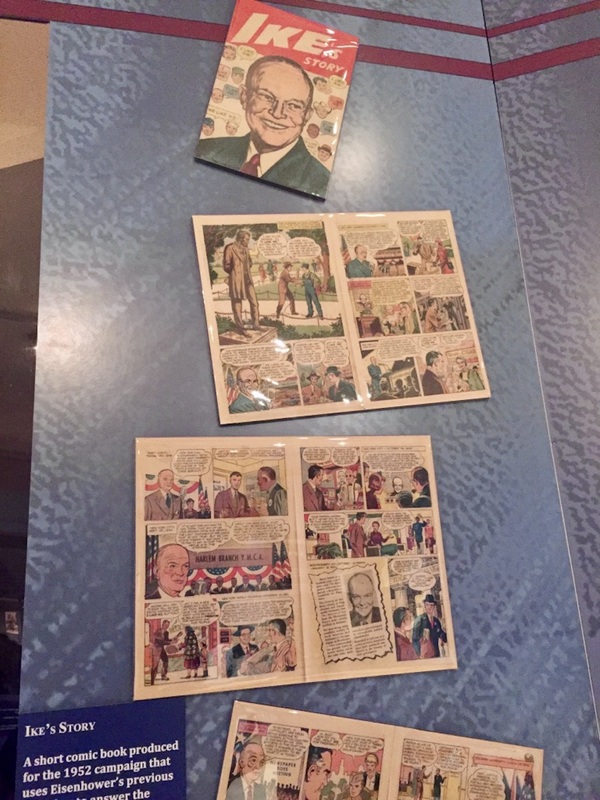 Today visitors can learn about the 34th president’s life and legacy at the Eisenhower Presidential Library and Museum. If you like Ike, this is definitely the place to be. The museum was undergoing renovation when I visited, but there was still lots to see around the complex. The new museum space is expected to open for the 75th anniversary of D-Day in June of 2019. There are a number of buildings located on the grounds of the museum site, including Eisenhower’s boyhood home. Guided tours of the home Eisenhower grew up in begin every 15 minutes and are included with admission to the historic site. 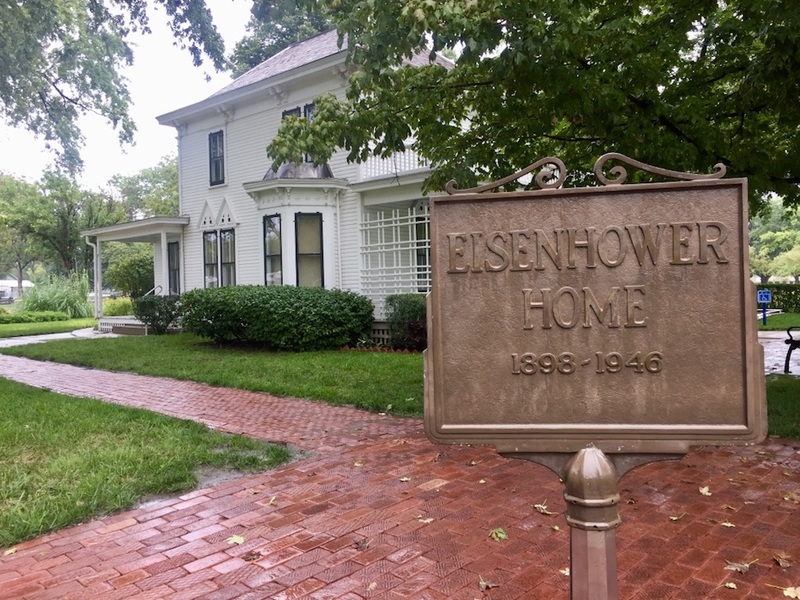 After watching a 23-minute introductory film about his life and legacy, head to the Eisenhower home to see where the family lived for almost 50 years. Stepping inside the small six-room home, it’s crazy to imagine that at one time nine people lived within its walls. David and Ida Eisenhower, along with their six sons and their grandfather, Jacob Eisenhower, spent their days in the cozy two-story home. Located on its original site, Ida Eisenhower lived in the home until she passed away in 1946. 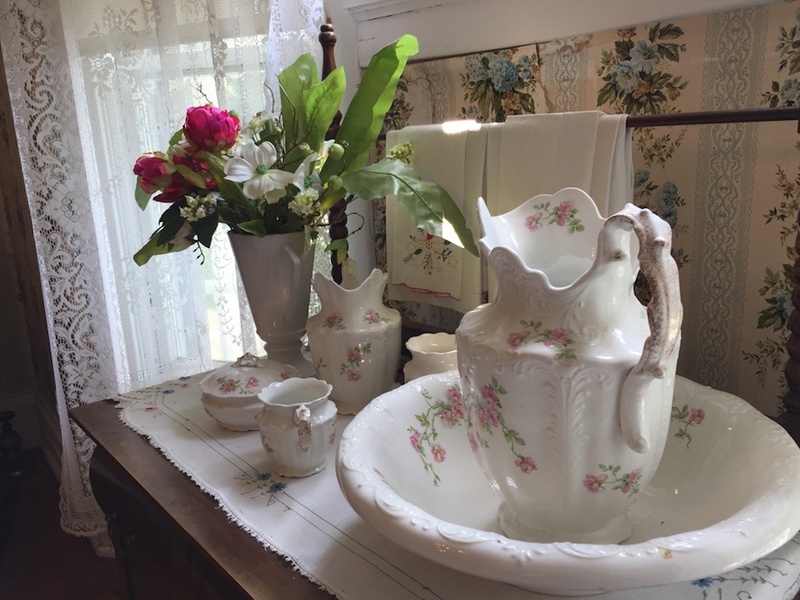 As a result, much of the decor and furniture is original to the Eisenhower family. 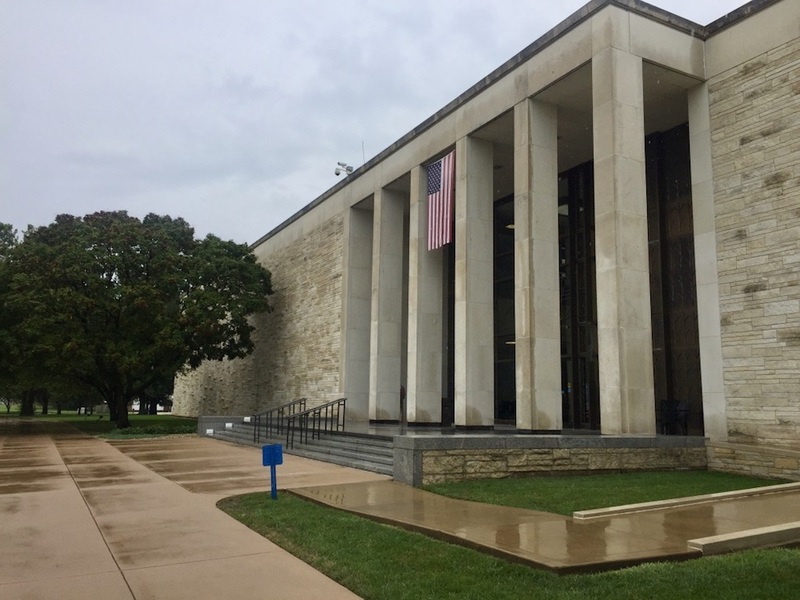 Since it was an exceptionally rainy morning I skipped the walk to Eisenhower’s final resting place and headed to the presidential library. Once inside I explored some of the artifacts on view while the museum is closed. Of all the artifacts, I enjoyed seeing Eisenhower’s campaign materials most. 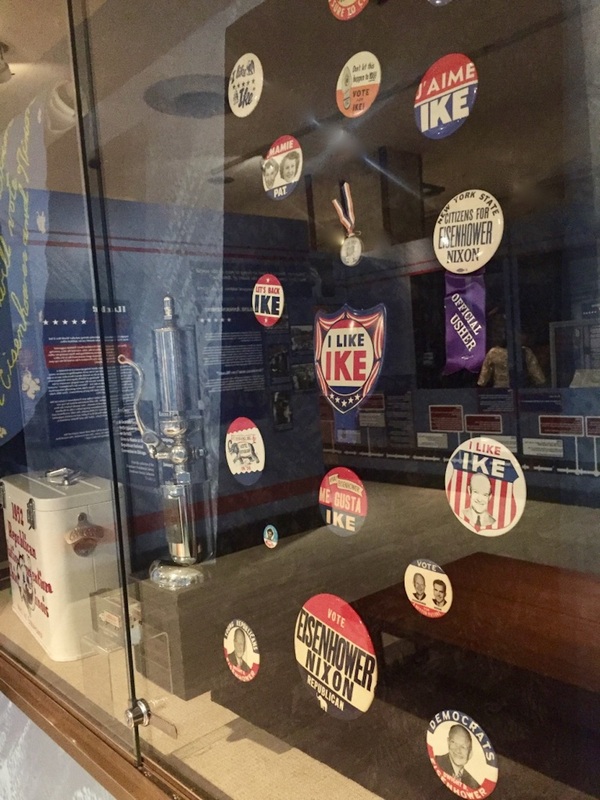 From comic books to poodle skirts to “I like Ike” buttons in dozens of languages, it was fascinating to see the memorabilia that helped get Eisenhower elected. Before stepping foot in the Greyhound Hall of Fame I’ll admit that I knew fairly little about greyhound racing. 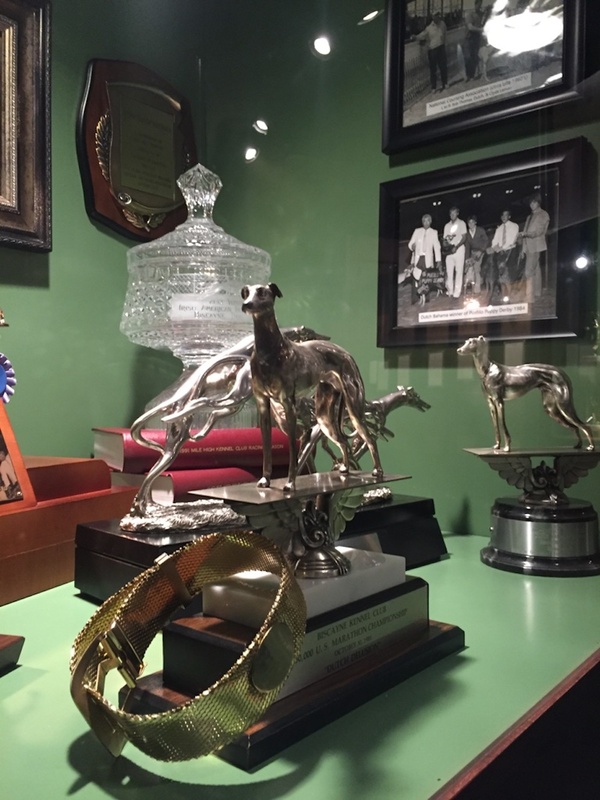 But even for a novice like me, a visit to the Greyhound Hall of Fame was a unique glimpse into the sport. The museum’s two live-in residents—Ginger and Gary—greeted me as soon as I stepped through the doors. 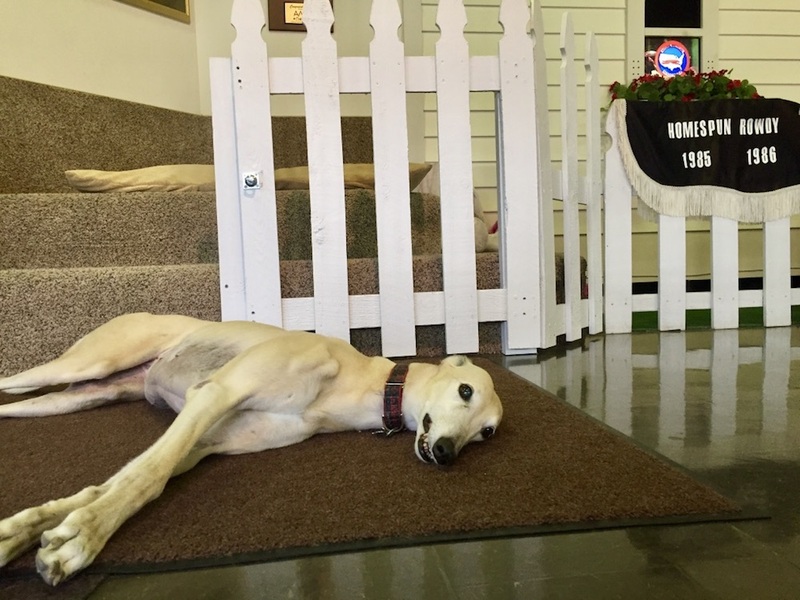 Both Ginger and Gary are retired racing greyhounds who now live at the museum. 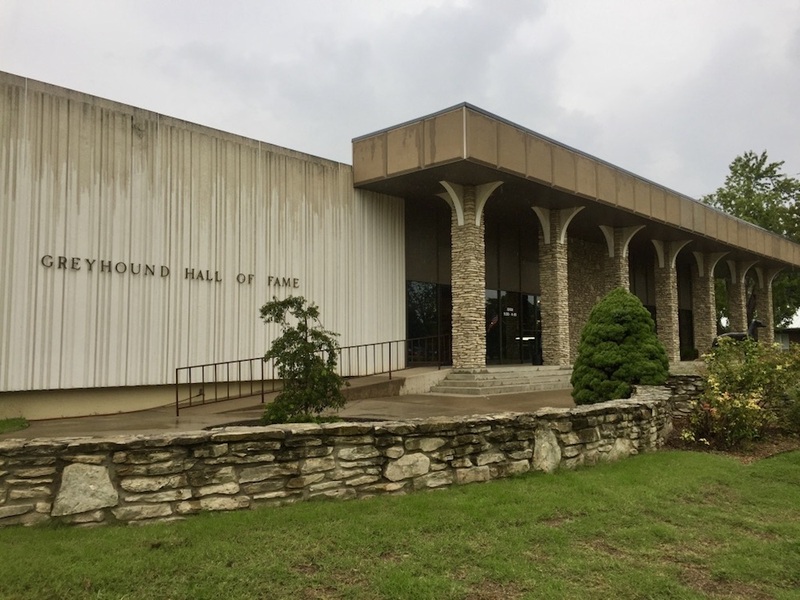 After giving each of them a few friendly scratches behind the ears, I headed into the museum’s theater to watch a quick film about the history of greyhound racing. Afterward I wandered the galleries learning about the history of the sport, which originates as far back as ancient Egypt. There were so many elements of greyhound racing I had never heard of or thought about. 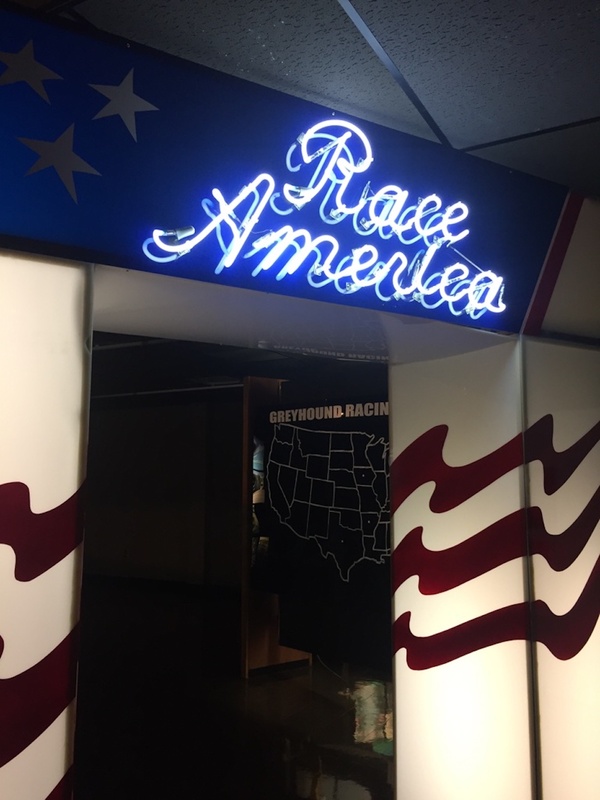 For instance, I learned that the racing dog’s muzzles have white tips to make it easier for judges to determine a race’s winner. I was also delighted to learn that each year more than 18,000 retired greyhounds like Ginger and Gary are adopted by families across the country. 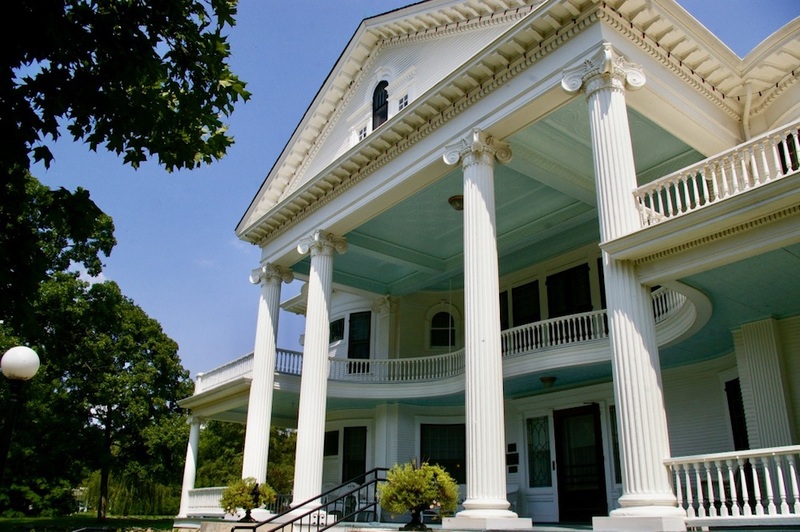 If you love historic homes, you won’t want to miss a visit to the Seelye Mansion. Built in 1905, the 11,000-square-foot Georgian style home was once home to Dr. and Mrs. A.B. Seelye and their two daughters. Today the gorgeous home is open for guided tours. 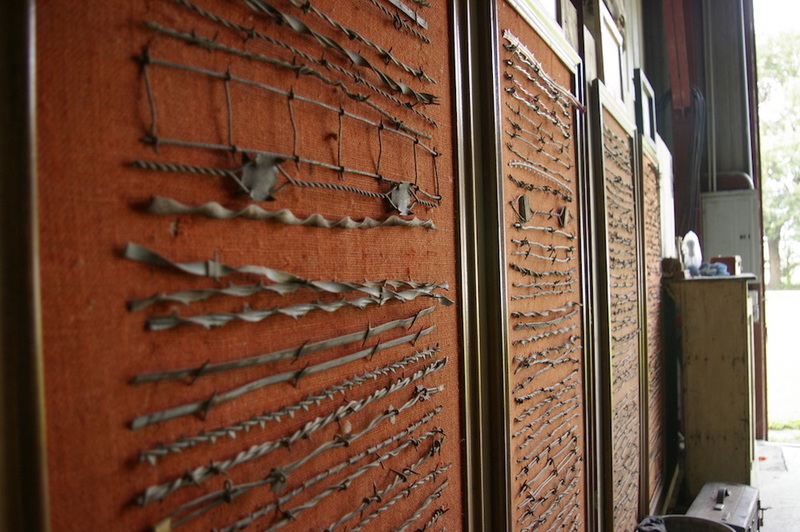 The mansion’s caretakers also offer special Christmas tours that showcase the home’s collection of more than 600 nutcrackers. Standing on the cavernous front porch, it doesn’t take long to realize that the details are what make Seelye Mansion extraordinary. Look up before stepping inside the front doors and you’ll notice that the ceiling of the vaulted porch is painted a perfect baby blue. 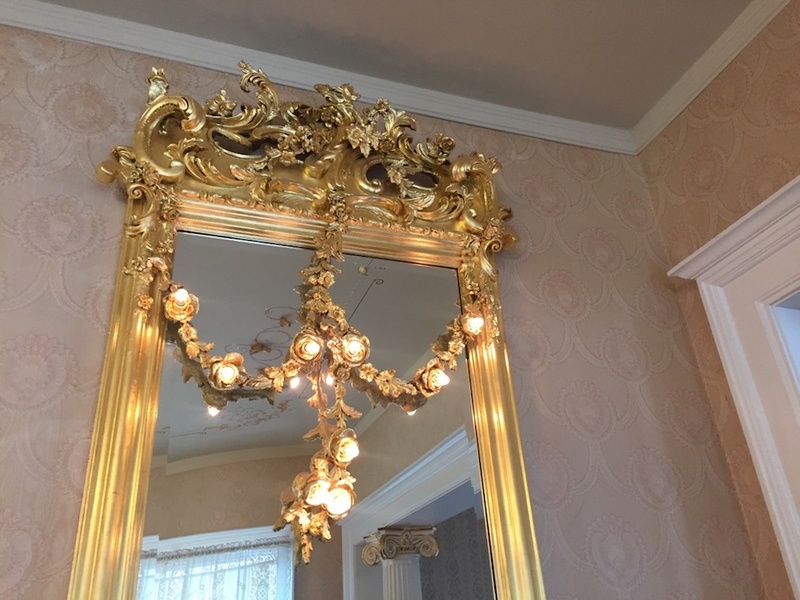 From gold plated mirrors to immaculately kept sets of China, this home is full of hidden treasures. Many of the homes fine furnishings came from the 1904 St. Louis World’s Fair. These items apparently cost more than the $55,000 paid to build the grand home. Dr. Seelye, who made his fortune in patent medicines, sparred no expense when establishing his family’s Abilene home. Possibly the most extraordinary part of the home is that so many of its elements, including light fixtures designed by Thomas Edison, are still original. 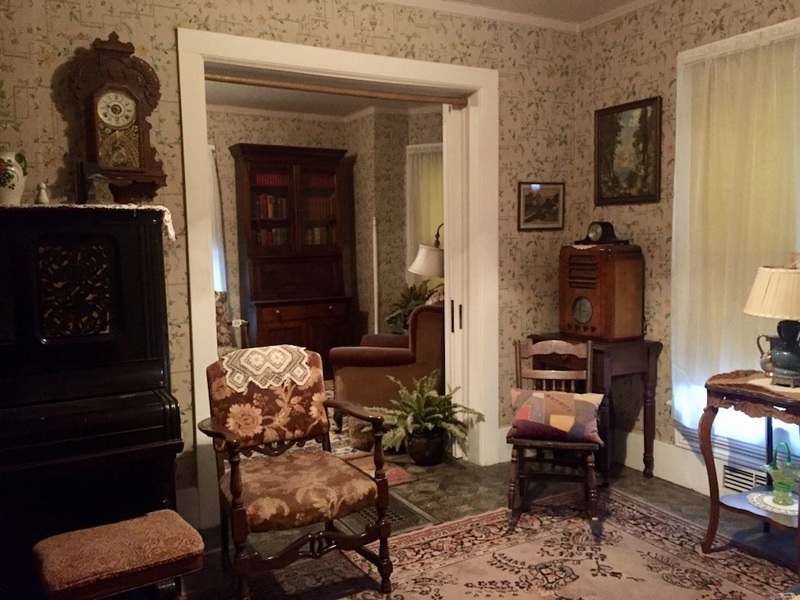 Seelye Mansion is a perfectly preserved time capsule of the Seelye’s life through the 1900s. The mansion itself is as much of an experience as getting to know its current caretaker and tour guide—Terry Tietjens. While Terry is not technically a member of the Seelye family, he might as well be. After befriending the aging Seelye sisters when they were in their 80s and 90s, Terry became the mansion’s live-in caretaker. His affection and deep love for the home and its original inhabitants is immediately apparent upon hearing him talk about the Seelyes. 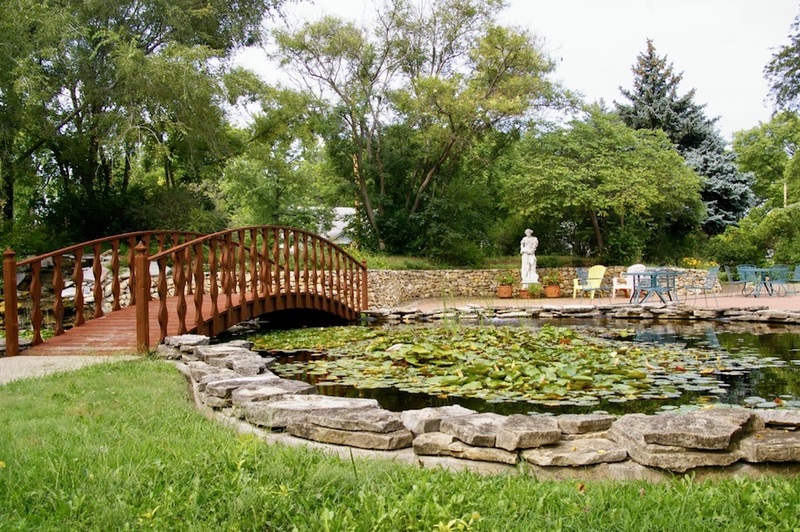 Terry is a true expert on the Seelye’s and has given tours of the home for more than 25 years. The Seelye Mansion is full of historic treasures. But one of the most interesting is its five pin wooden bowling alley. 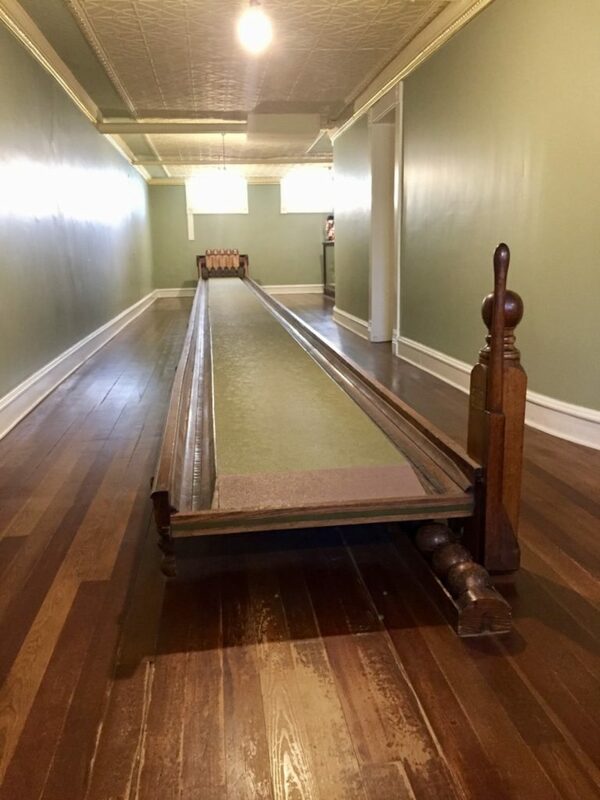 Only three or four of these wooden lanes still exist in the world, and not even the Bowling Hall of Fame has one. 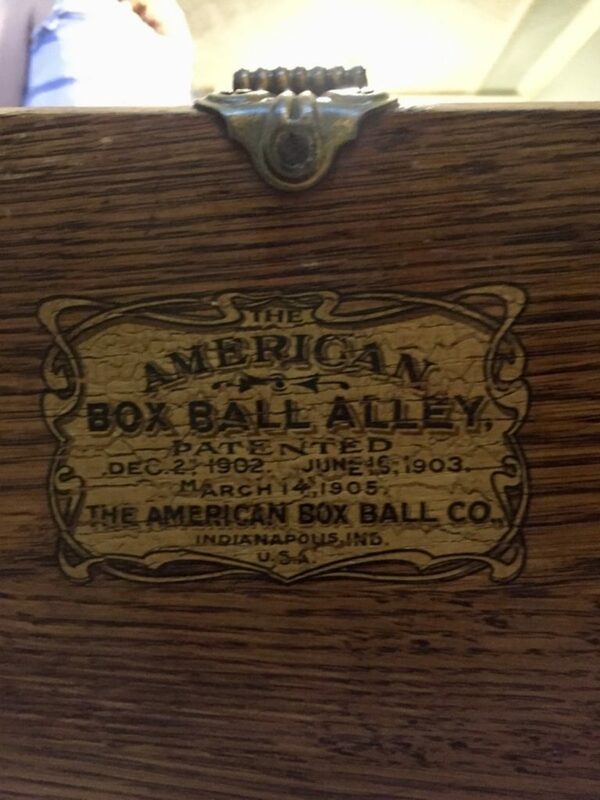 This unique form of entertainment was another item that the Seelyes purchased at the 1904 World’s Fair. The lane is still operational and, if you’re lucky, Terry might invite you to throw a few balls. Don’t count on beating him though—all his practice with the Seelye sisters has made him a pro. I would love to hear from you! Have you ever been to Abilene, Kansas? What was your favorite way to experience its local history? 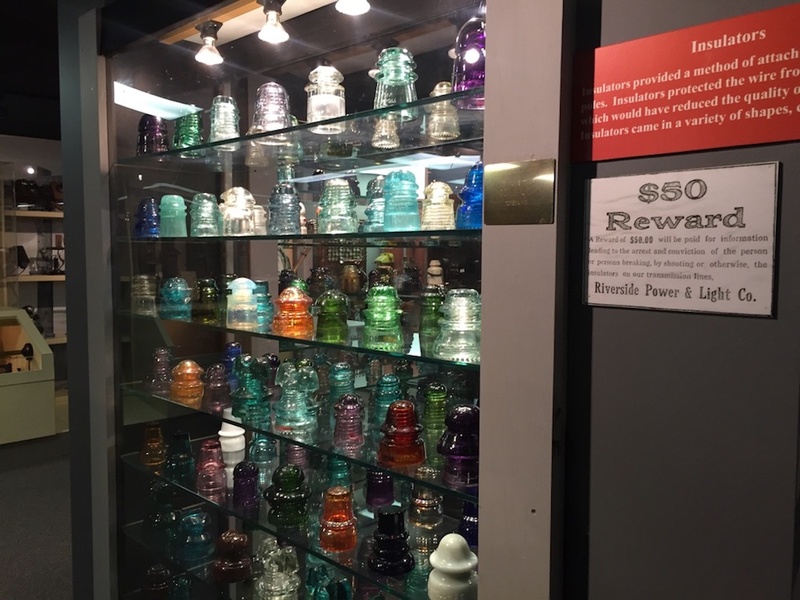 I think I would make the drive West just to see those 600 nutcrackers! And might as well stay for the fried chicken dinner while I’m there, right?! Absolutely! You would love Abilene!